Based on the nutritional profile of our best selling CSL liquid but with the addition of premium Arctic Krill. 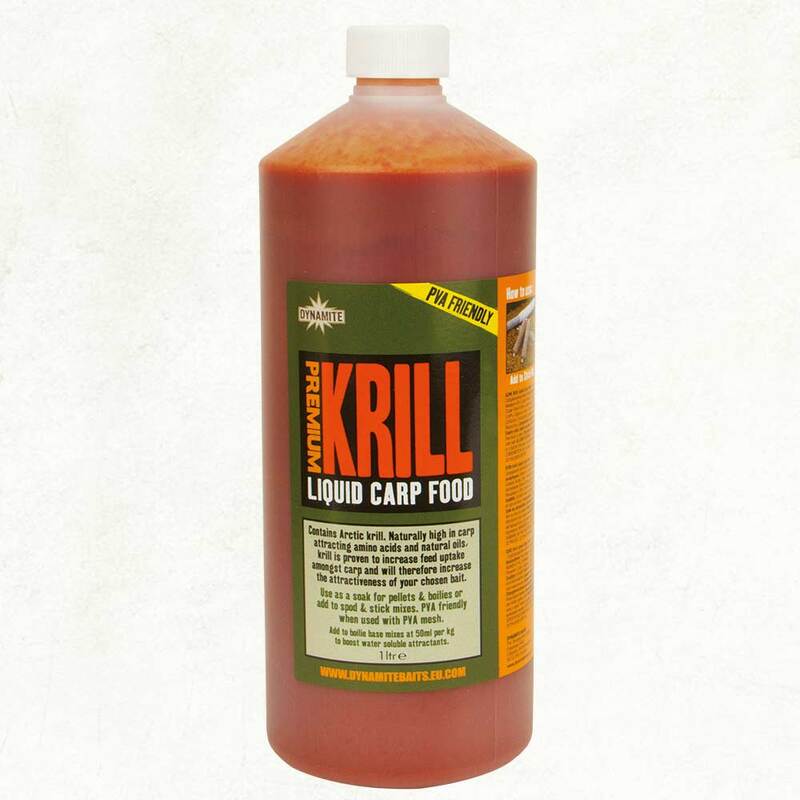 High in amino acids and natural oils, Krill has been proven to increase feeding activity amongst carp and anglers have been quick to capitalise. Water soluble, naturally high in amino acids and 30% protein, pre-activated and fermented until all the natural sugars and enzymes start to breakdown. This process creates a premium product which is at its peak of digestibility for the fish, enabling them to easily absorb the nutrients. Perfect for adding to stick or spod mixes or for re-hydrating baits. If using in boilie making and adding to our base mixes, we recommend 50ml per kg of base-mix to boost the water soluble attractors in your baits.